Jorge Martinez Gacio is a Technologist in the Clean Fuels and Biotechnology business line in Axens which is based in Rueil Malmaison, France. He started his professional career in Technip working as Process Engineer in Detail Engineering packages. He joined Axens in 2006 where he first worked as Senior Process Engineer in worldwide projects for the refining and petrochemicals field. Currently working as Technologist since 2012, he is involved in the commercialization of processes for clean and renewable fuels and particularly the FuturolTM technology for second generation cellulosic ethanol. 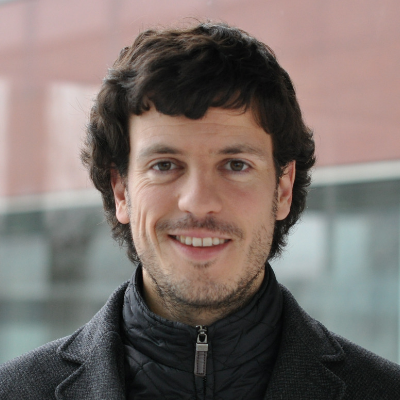 Jorge holds an MSc in Advanced Technology in Petrochemicals, Polymers & Plastics from IFP School (France) and a Chemical Engineering Degree from University of Santiago de Compostela (Spain). He also holds a Chemistry Degree from University of Vigo (Spain).